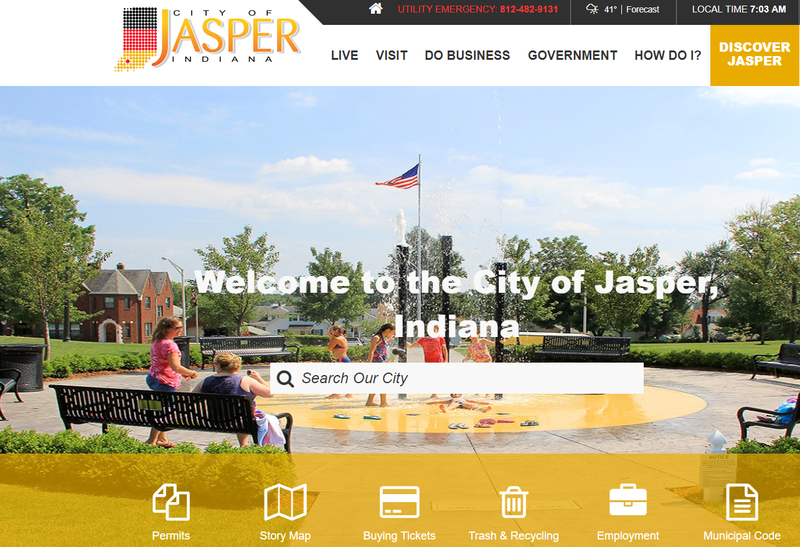 JASPER -- The City of Jasper is excited to announce an upgrade to the city’s website, featuring a new responsive design. Responsive design means the website will transition to the device you are using while maintaining all features. The primary content of the previous City of Jasper website has been retained yet enhanced with more photos and user-friendly navigation. Special subsites have been added for Jasper Community Arts and the Park and Recreation Department. Each showcases news, events, and features of that particular department. You can access the website by going to www.jasperindiana.gov. To view the subsites, you will go to the homepage and hover over Discover Jasper. A drop-down menu will appear, and you can choose which department you would like to explore further.